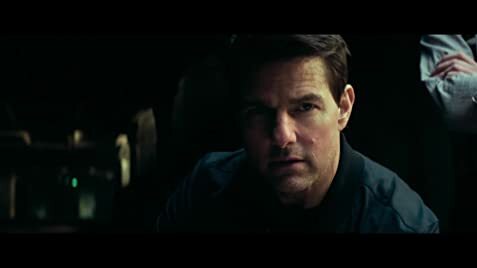 Solomon Lane: Do you, Ethan Hunt, take Julia as your lawful wedded wife? Solomon Lane: To have, to hold, to love, to love, cherish, honor, and protect? Ethan Hunt: [turns to the priest] Stop. Solomon Lane: ...to escape your own true self. Q: Why didn't Jeremy Renner return for this film? Fallout feels like a direct sequel to Rogue Nation, even though it doesn't take place immediately after in the timeline (based on some dialogue I believe it to be two years later). But a lot of things remained consistent: we finally kept a director around (I'll get to that later) and many of the characters have returned, including one Solomon Lane (played by Sean Harris) with more villainy than ever before. In the past, we would cruise through team members such as Maggie Q, Jonathan Rhys Meyers, Paula Patton, and heck even Jeremy Renner who was not in this flick... but we have grown into others like Ving Rhames (whose character wasn't just there to look cool and throw in some one-liners, but rather to shed some actual emotional weight), Simon Pegg (who has finally earned my respect "in the field" where I feel he now officially belongs), flashes of Michelle Monaghan (the Jules factor!) and newcomers Alec Baldwin (underused again) and Rebecca Ferguson (dayum is all I have to say). Yes, they threw in some new characters in this film... I'd say one too many for me to keep track of... but they didn't interfere too much with the chemistry already in place with the other actors/actresses surrounding Tom Cruise and the bigger picture. I'm a bit iffy on Henry Cavill's character still, as he felt a bit out of place from the franchise we've been accustomed to, but he did work in this film as did his mustache. Even still, I think this movie demands a re-watch on my end to understand all of the character motivations again, particularly three of them. All told it does feel like a sequel to RN in the sense that you should not see this one if you don't see that one. I think it is enough of a companion to make 3-6 part of a larger something when all watched together, even though 4 is only loosely connected at this point from a story perspective. In terms of feel however, it is not like any of the other M:I films before it. Instead of going for sleek and stylish, they chose raw and gritty in more ways than one. It really had its dark and serious moments, even played by the score through the opening credits (which I had to close my eyes for because they tend to spoil movie moments lol) demonstrating it would carry more epic impact than normal. Sometimes it delivered on that, and other times I think its reach exceeded its grasp, but ultimately you would feel it. It still had light humor time-to-time, but this was not a light-toned film in the slightest. I don't know if "grounded" is the right way to describe the film's attitude (because any time it is literally off the ground it is quite ridiculous as far as action films like to go! ), but any time that it is on the ground everything is pretty simple. This film isn't built around stealth and technology; in fact, outside of masks and GPS-tracking (and some thing reading off a mission), I honestly couldn't name a single piece of technology that was more advanced than that in this entire film (EDIT: I thought of one more thing but it really won't wow you, and you probably won't even think of what I'm talking about after seeing it). Outside of some of the camera work, it definitely had a throwback feel to it, pulling the reins a lot but not in a forced way. This one just didn't call for a lot of futuristic technology. The action this time around really was all about chases, gunplay and hand combat. I mean if you like hand combat, then you'll really have fun with 2-3 particular scenes in this movie. This is all good and great for an action movie, but good enough for Mission: Impossible? Because of the characters involved, YES. Outside of one of the beginning set-pieces, every action scene in this movie is heavily built up and driven by the story around it, and felt like the story's impact of the moment was always bigger than the stunts being pulled off. This is a good thing, but that also means it's not all surface-level entertainment. You could pop in your Blu-ray of any of the previous three M:I films and watch an action sequence and just go: "Hell yeah." In this film, each moment is earned a little more as the story progresses, and they are very character-focused moments. I can't say it really compares to the other films in terms of action, but it worked. At one point I think it got a hair too ridiculous, but I was on board because of the situation at hand. This doesn't really have the summer blockbuster tag that the last two felt like they did, though. I can see some high schoolers not understand the progression of this franchise and walk out going: "That was stupid and boring." Go watch Transformers, little ones. Now it's time to sing some serious praises for two individuals. The first one is writer/director Christopher McQuarrie. Given the state of this franchise, they found the right person to steer the ship. Even in the middle of this 2.5-hour-long film when the action feels a bit bogged down and mundane from something you'd expect out of M:I, McQuarrie does enough for it to still feel different. Many scenes are shot so practically, the music is always original, tongue-in-cheek moments are injected without taking you out of the scenes, and you're always exploring the space around you so that nothing is ever too stationary. There is one action setting that didn't work for me at all and I honestly don't know what was going on, but it dynamically moved away from there fast enough and continued on to the next immediate action moment that all was forgiven and I was caught up to speed again. He understands the characters so you're not left with thinking they're making irrational decisions, and he understands how to showcase his stars so they can give him all that they have to offer. He captures it in a nice wide frame and only cuts when he has to. Sometimes he mutes the score for the sound effects, and there is this one really awesome moment where he drowns the sound effects from the score and it works so perfectly. If there is another film, I expect him to stay a part of the team. The next person is Tom Cruise. Good. Lord. This guy is the reason we watch these movies. Talk about a guy giving it his all. Stunts in previous films may have had the panache that sells you watching the trailer, but I can tell you first-hand that nothing is as demanding as what he went through doing some of his stunts this time around. This guy doesn't age! When I say that, I mean he literally looks younger in this film than he did in Rogue Nation or Ghost Protocol! This dude shows you what it means to sprint, and his abilities handling a weapon, riding a motorcycle, now doing things off the ground (which means more than one thing really), and everything else just makes the action that much more convincing. You don't have to have CGI, green screen, stunt doubles, or quick-cuts to try and convince you otherwise (I'm looking at you, Taken 3). It's only unfortunately that you're actually taken out for a moment only to sit back and say: "Holy ****, Tom Cruise is actually doing that in front of our eyes." Kudos to what he does, and apparently it is worth every penny of everybody watching it as well. He will break bones for us to make this happen, and it really is a delight. He is an ageless wonder, and I can't wait to see what he is willing to do for us next! I just hope he makes it out the other side each time. 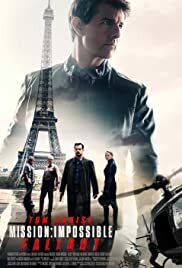 I think this is a movie that will get better the more you re-watch it, whereas the other films really peak their excellence the first time through because there isn't much past surface-level. I can't wait to see this one again. P.S. I don't know where else to fit this, so I'll just place it at the end. There was this recurring line in the film that characters would say, along the ilk of: "I'll figure it out." It was always in response to a character asking how they'll approach something next. I don't know if this was a gaff in the screenplay or a wink at the audience in some way---maybe as a response to the previous movie having two different characters literally anticipate every outcome of the film's entirety since the planning stages---and now showing in this film that they have to improvise scenarios reactionarily to something that was unforeseen. I don't know what it was, but it felt like it was said a bit too much. I'd really like to hear McQuarrie bring that up in an audio commentary. 104 of 216 people found this review helpful. Was this review helpful to you?